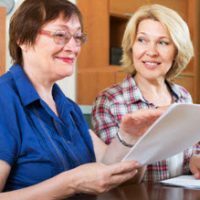 As part of protecting your loved ones in the event of the unexpected, you may have already taken the steps to ensure you have the proper estate planning documents in place. While you may have taken the steps to create a will, properly title property, and establish a trust, planning on what you might do in the event you became disabled is something you may not have considered. Taking a quick inventory of any existing or potential benefits you might be entitled to can help ensure you are protected if accidents or injuries occur. Diseases, such as heart conditions, cancer, and diabetes, which limit activities and require ongoing care. Any of the above can make it difficult to work and provide for your family and may worsen over time, making it increasingly difficult to care for yourself. Social Security benefits: Social Security provides disability insurance benefits, based on the number of years you worked and the amount of taxes you paid. You should receive a statement of earned benefits once a year. There are also Supplemental Social Security benefits you could be eligible for, which are awarded based on financial need. Workers’ compensation benefits: If you are injured on the job or your disability is in any way work related, you may be entitled to compensation through the NYS Workers’ Compensation Board. These include temporary benefits while you recover from injuries, as well as permanent disability payments if you are unable to return to work. Disability insurance: This is insurance you purchase on your own, with policies to cover permanent or temporary disabilities, as well as mortgages and other types of debts. Review your existing loan documents and credit card agreements, as this type of insurance may have been offered or required when the account was created. In addition to any disability benefits you are entitled to, you will want to make sure you have a power of attorney and health care proxy in place, in the event a disability prevents you from making decisions or managing your affairs. For guidance in creating these and other documents that can protect your loved ones in the event you are disabled, call or contact Cavallo & Cavallo online and request a consultation with our New York estate planning attorneys. We serve clients in the Bronx, New Rochelle, and surrounding areas.